A product safety recall was issued, Nov. 2, on Kidde fire extinguishers. NATIONWIDE ― A product safety recall has been issued nationwide for a particular brand of fire extinguishers. Consumers may have these extinguishers in their vehicle, home or vessel. 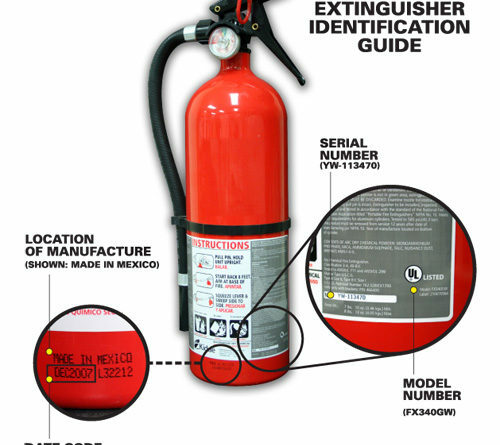 Certain Kidde fire extinguishers with plastic handles were recalled on Nov. 2. The fire extinguisher might fail to discharge due to a clogged nozzle or the nozzle becoming detached. One death had already been reported due to the fire extinguisher malfunctioning. The Log’s columnist, Capt. Nicole Sours Larson, and her husband found one fire extinguisher on their boat to be part of the recall. The Larsons completed the online form and did receive a response from the company stating a new fire extinguisher will arrive in four to eight weeks. The Santa Barbara Waterfront Department held a Harbor Watch meeting, Nov. 8, where the fire department demonstrated the proper use of fire extinguishers and fire dock boxes. The subject of the recall did not come up at the meeting. However, all fire extinguishers and fire dock boxes have already been checked around the harbor and none of them are part of the recall, according to Harbor Operations Manager Mick Kronman. The Kidde consumer contact number is 855-271-0773. More information about the Kidde fire extinguisher recall can be found online at bit.ly/2h6A6xb.